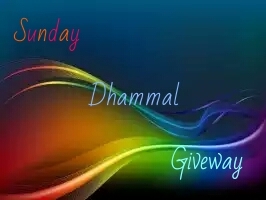 Hello Guys Welcome You All Here On New Blog BadTricks Has Been Closed Now And New Blog Cute Tricks Provides You All New Deals As Well As Big Giveaways’s Like Before And Now It’s Time For Sunday Dhammal As Like. 1. Comment Below Your Name , Mobile Number Registered With Paytm. 2. Done ! Just Wait And Enjoy Other Deals. 1 Winner Will Win A Surprise Gift From Us Which Is Above Rs 1500. All Winners Are Contacted By A Phone Call From Us On Tomorrow.